Pennsylvania is home to more than 200 wineries and Kevin Smith Transportation Group has become the region’s #1 Wine Tour operator. To better share our experiences, we have asked our clients to share their 1st person accounts of their Wine Tours here in Pennsylvania. In addition, as the leading luxury transportation company in Pennsylvania, Kevin Smith Transportation Group offers a fleet of Stretch Limousines, Party Buses and Executive Shuttles to make every wine tour the perfect experience for our clients. This blog series will share their stories. I own a small law firm and was looking for something to do with our office staff. There are 12 of us in total and last year, we went and saw a Broadway Show in NY. We had booked a Party Bus with Kevin Smith Transportation Group last year so I called our Event Planner we worked with to see what if any ideas they had. Their immediate suggestion was a Wine Tour. Unbeknownst to me, Pennsylvania has more than 200 wineries. KSTG specializes in Wine Tours and recounted a lot of similar sized companies who had booked outings for their employees. After reviewing some options, we quickly landed on a 18 passenger Party Bus and Friday date in March. Located in Southern Chester County, Paradocx Vineyard produces approximately 10,000 cases of wine a year. The vineyard sits on 100 acres, 30 of which are under vine. Two families own the vineyard, the Hoffman’s and the Harris’s. The wines produced cross a variety of grapes, including reds, whites, roses and sweet wines. We were picked up at our offices at Noon. I can honestly say the half day may have been the least productive half day ever! Our chauffeur arrived and the Party Bus was awesome. It was a new bus (our bus the year before had also been new at the time) and was perfect for our trip. We arrived at the tasting room ready to go. As we were a larger group, we had made a reservation ahead of time so they were ready for us. The location was beautiful and the staff was extremely friendly. We spent 3 hours tasting their wines and just getting a chance to talk about things not work related. It was the perfect company outing. If it wasn’t for the amazing Party Bus waiting for us when we were done, we may have stayed another 3 hours. Besides their amazing vineyard and tasting room, you can also find Paradocx Vineyard at local wine bars and farmers markets. They are in-demand and are working hard to meet it. The best part of the entire wine tour was that Kevin Smith Transportation Group arranged the entire trip. That is what I call a full-service company. Thank you for reading today’s blog on Pennsylvania Wineries. Please return every week as we provide 1st person accounts of tours of the Pennsylvania Wine scene. For more stories about Pennsylvania Wineries, visit our Wine Tour homepage here. 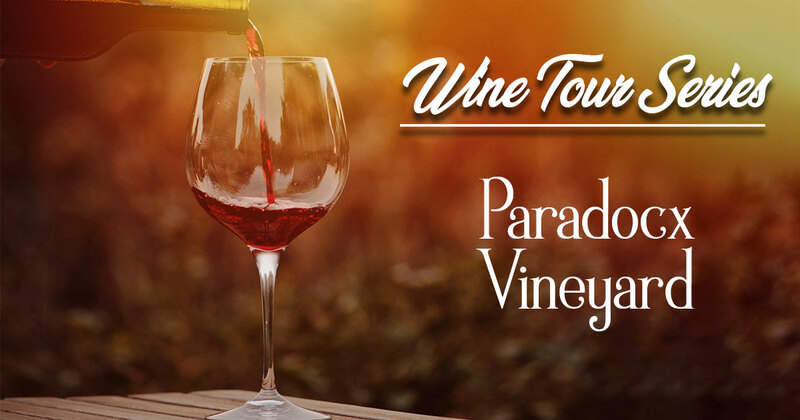 Check out the Ultimate Wine Tour guide for information on Pennsylvania’s more than 200 wineries.